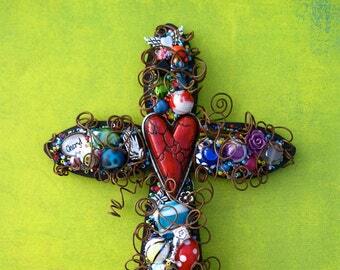 Small 6 Inch Wire-wrapped Nail Cross for wall hanging. 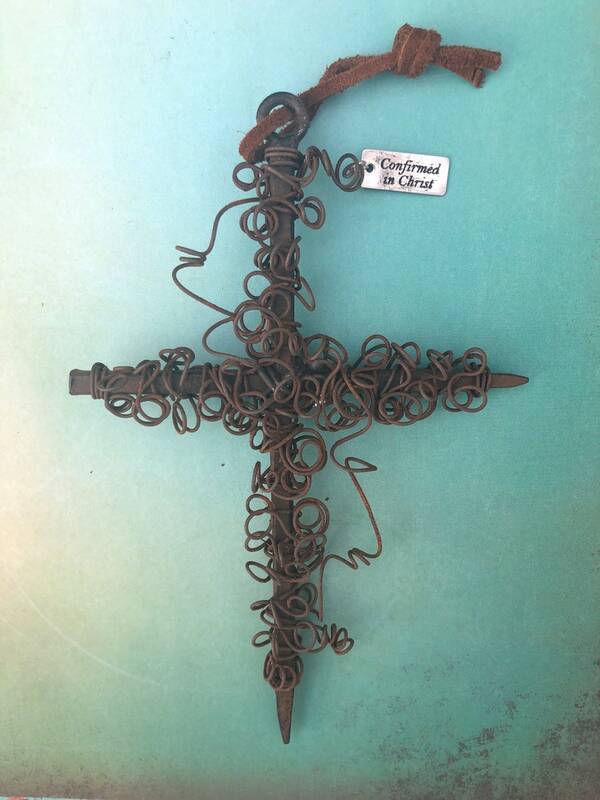 Each metal nail wall cross is wire sculpted in my unique way of wire-wrapping, with a rusty wire. 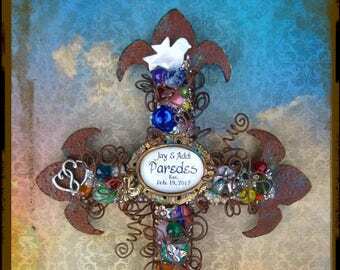 This style cross would make a unique gift cross for a man, a groomsman gift, Baptism cross gift, Confirmation cross gift, etc. 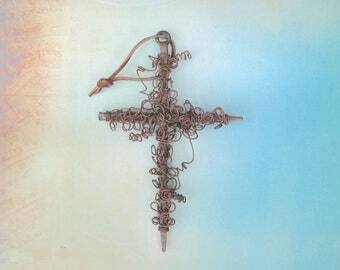 The cross you receive will not be exactly like the one shown, due to hand-sculpting of wire, making it truly unique and one-of-a-kind. 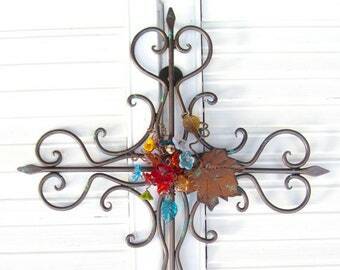 Measures approximately 6-3/4 by 4-1/4 inches. Beautiful gift for a young man's confirmation. 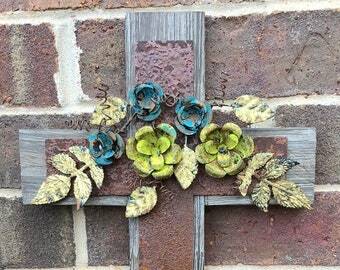 Well made - a lifetime keepsake. And shipped so fast!